About to be stepped on, avoid, originally uploaded by still awake. I love this sort of thing. 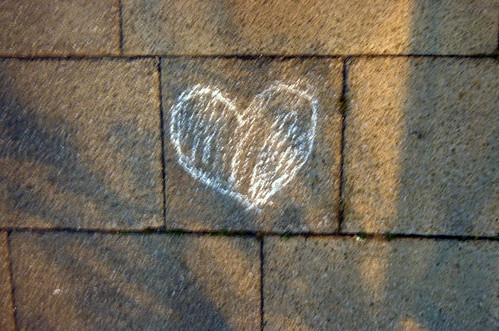 It always lightens me inside that somebody, somewhere, felt frivolous and happy and free enough to draw something like a love-heart on the pavement.